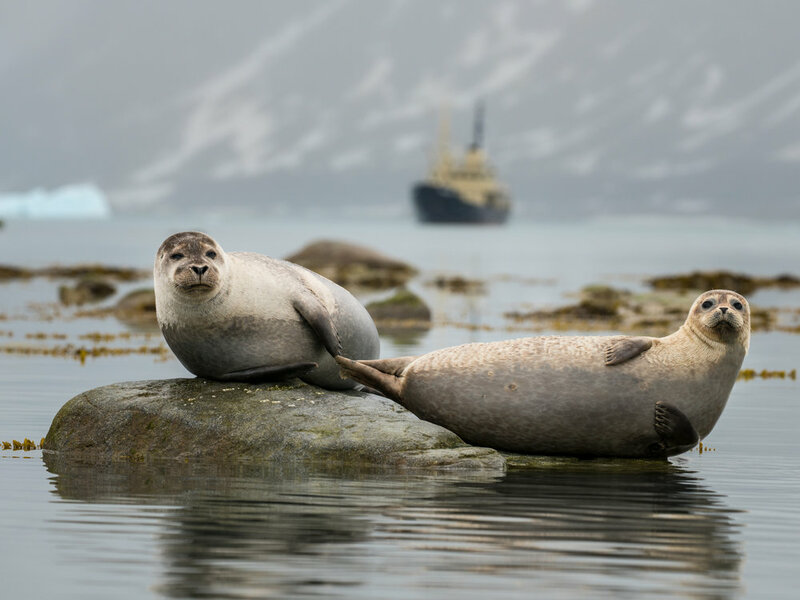 Situated midway between continental Norway and the North Pole, the Svalbard archipelago plays host to an impressive array of wildlife: seabirds, reindeer, arctic fox, polar bears, whales, walruses, and other marine mammals. 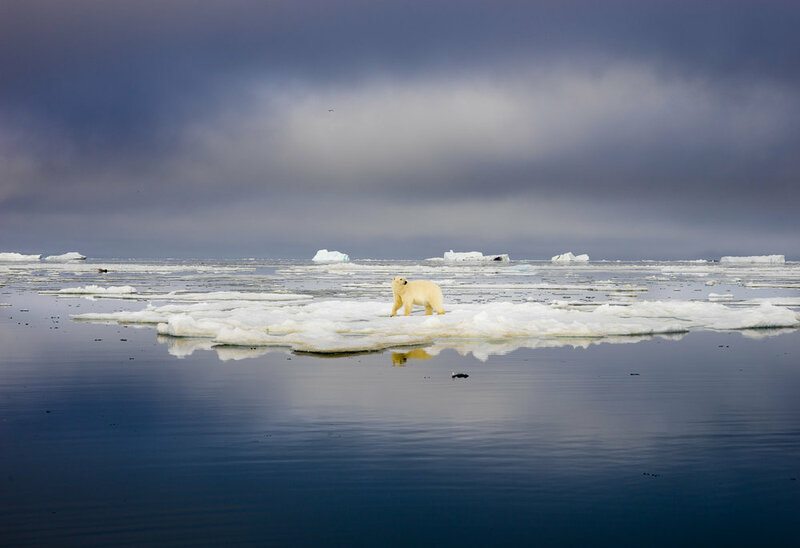 Seven national parks and 23 nature reserves cover two-thirds of the archipelago, helping to preserve the largely undisturbed arctic environment. 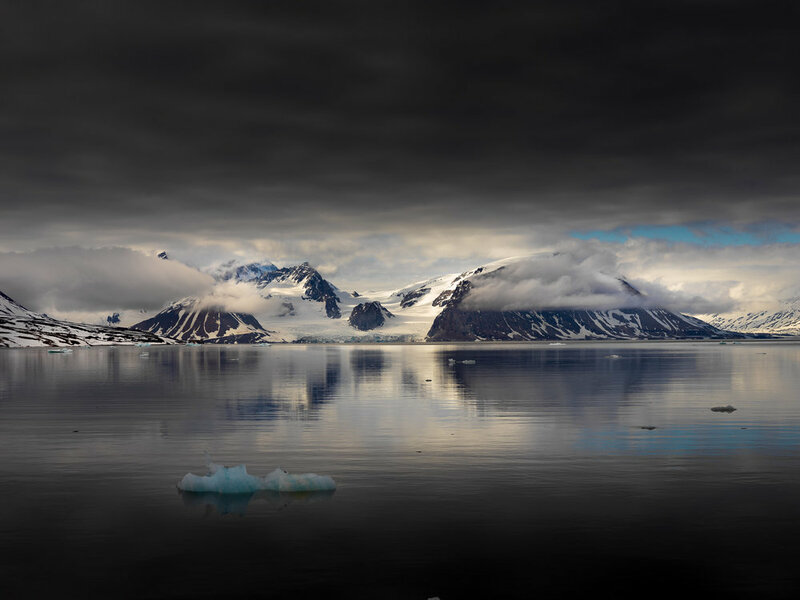 More than half of Svalbard is covered in glaciers, and mountains rise above steep fjords. All in all, it is a nature enthusiast’s paradise, and we want to bring you there! 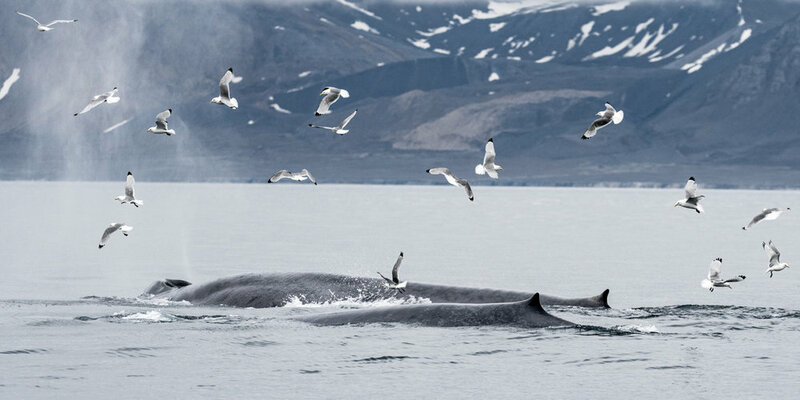 Because it consists of a series of islands, Svalbard is best visited by expedition ship. We have chartered our own private ship for this workshop, and for the most exclusivity and access, we’ve strictly limited attendance to 12 guests. 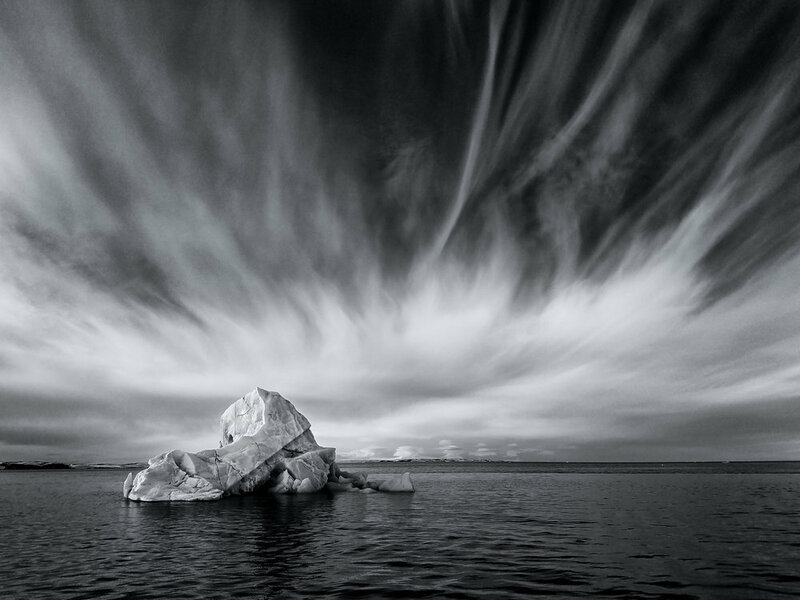 You’ll be accompanied aboard by Muench Workshops co-founder David Rosenthal and pro Michael Strickland, who will work to ensure you get the images, and learn best how to process them. With such a high instructor-to-guest ratio, there will be plenty of time for one-on-one attention and image reviews. This workshop will focus on wildlife, including polar bears on ice, breeding birds, and seals, though you’ll also see plenty of awe-inspiring scenery. Our schedule has been designed to optimize our time on small-boat excursions. Two Zodiacs will be available for getting close to wildlife, and into the frozen landscape. And with 24 hours of sun, magic hour light will last for hours! We are omitting the traditional “cruise-ship” stops on this workshop in order to prioritize photography. Watch the video below to see more of what’s in store! 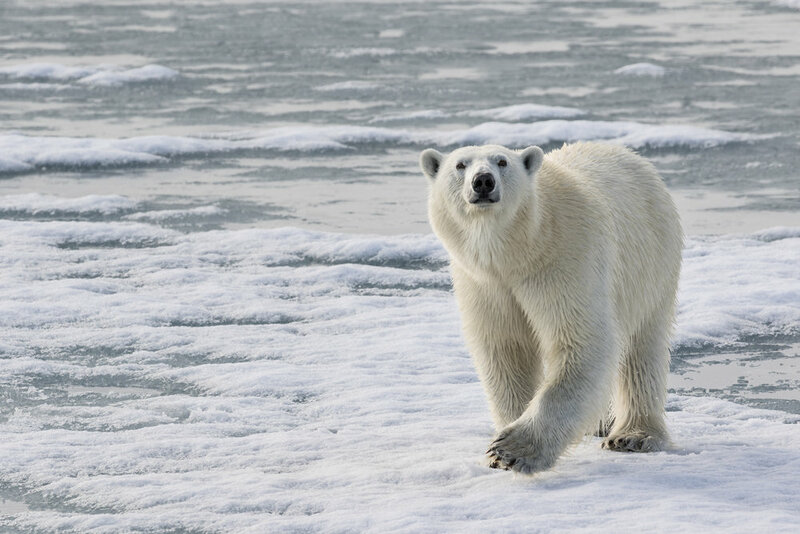 Polar Bears: Our main target on this expedition is the polar bear. In June we are most likely to find them on the drifting ice. During the last 15 expeditions (2011–2017) our local guides have seen and photographed more than 250 of them. It’s one thing to see a lot of bears—but getting close to them in great light is quite another! Imagine the thrill of spotting one of these magnificent creatures at a distance, and then approaching carefully to get shots like this. We may get lucky and find a mom with cubs—or a bear with a kill—or even males sparring. 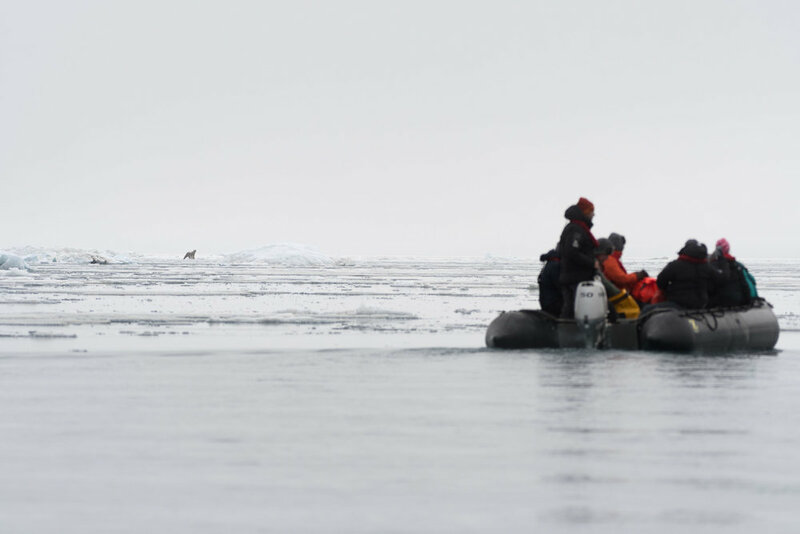 While we can never guarantee any sightings, our guides have years of experience and have perfected their approach, providing unforgettable encounters with the King of the Arctic. 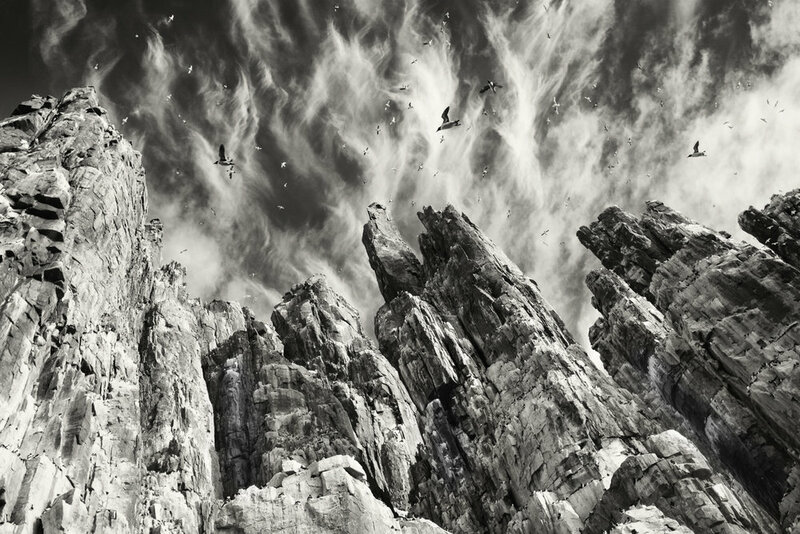 The resulting images have won awards in competitions such as BBC WPY, Natures Best, and GDT. 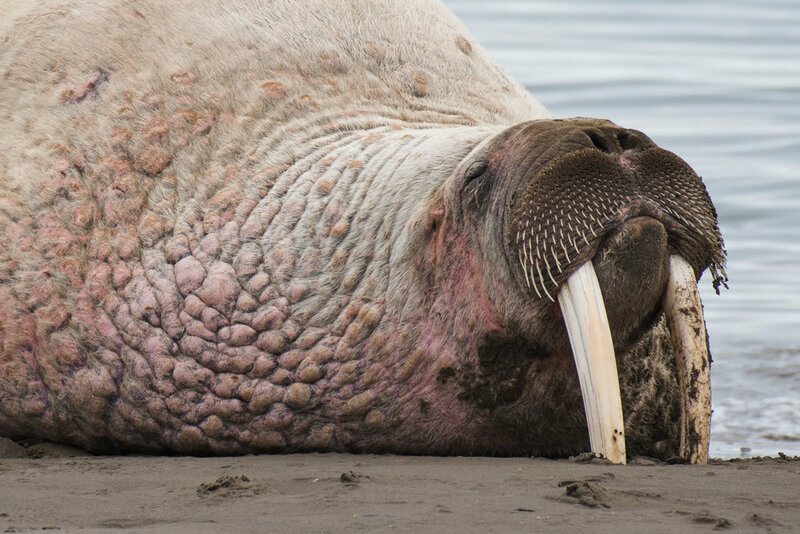 Arctic Mammals and Birds: We expect to see and photograph all of the major wildlife that inhabits the region: whales, walrus, seals, arctic fox, reindeer, and birds too numerous to count! 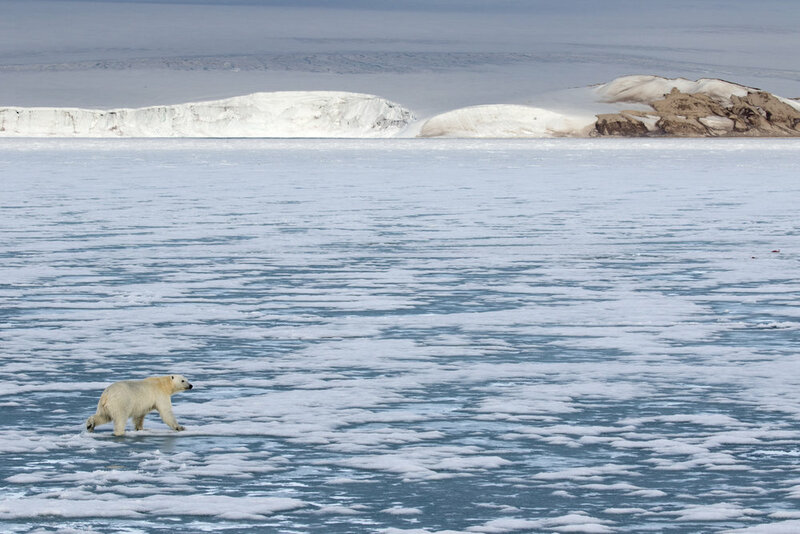 It’s easier to find big marine mammals like walrus and seals when there is less ice. In midsummer we can find walruses in water, on the beaches, or on ice floes. 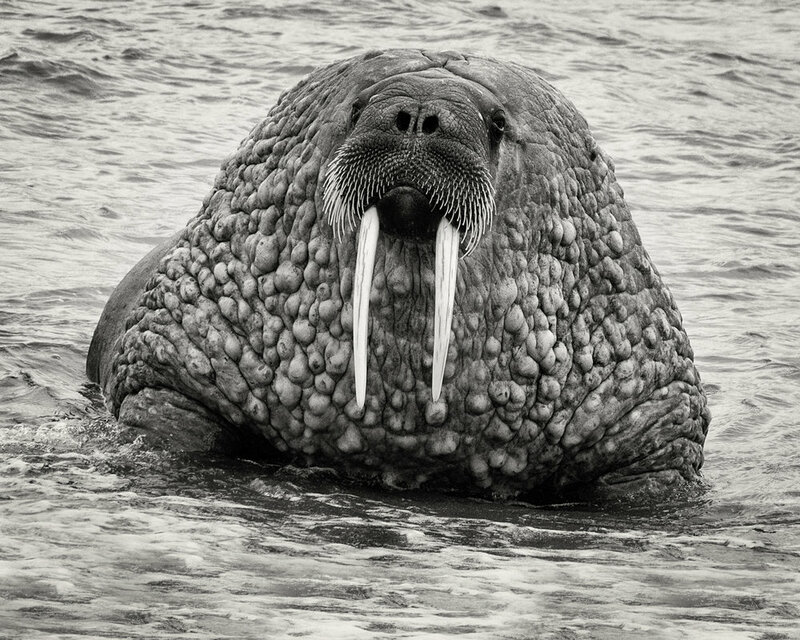 When conditions permit, we will go to the northeastern parts of Svalbard were we even find the small walrus cubs. Midsummer is a great time for bird photography in Svalbard, and we will have many opportunities to photograph birds at sea and ashore. 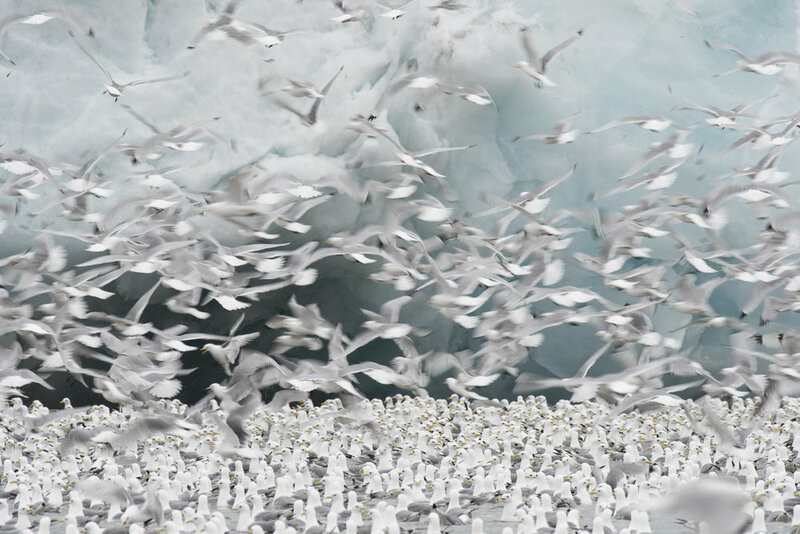 Most birds stay in the high Arctic until the end of August, before they start to move out to sea. This time of the year is also good if you dream of seeing the high Arctic specialties like the Sabines' Gull. Aboard M/S Origo: Our home for nine days and eight nights will be the M/S Origo, a traditional ship built in 1955 for the Swedish Martime Administration. 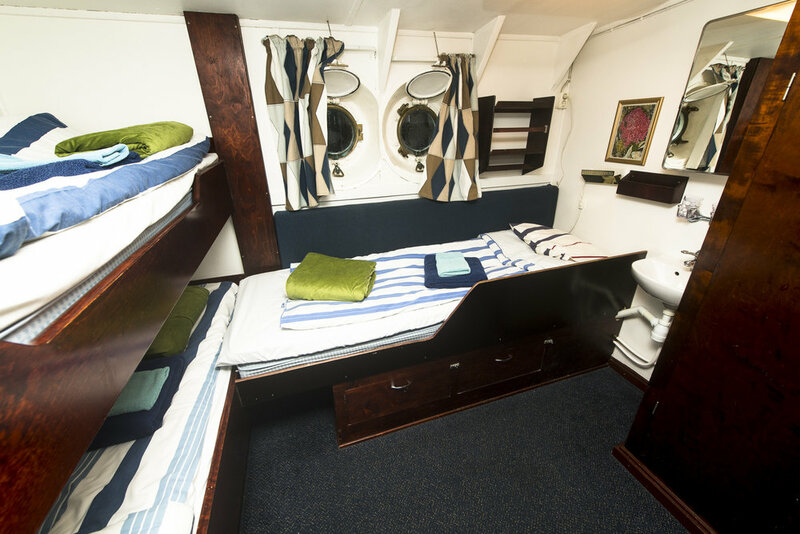 After a long and successful career as an ice-strengthened pilot ship, school, and training vessel, she was rebuilt in the 1990's to become an expedition ship with space for 12 passengers, 2–4 guides, and a crew of 8. She is a well-maintained ship, in excellent condition, with all the latest navigation, security, and safety equipment on board. 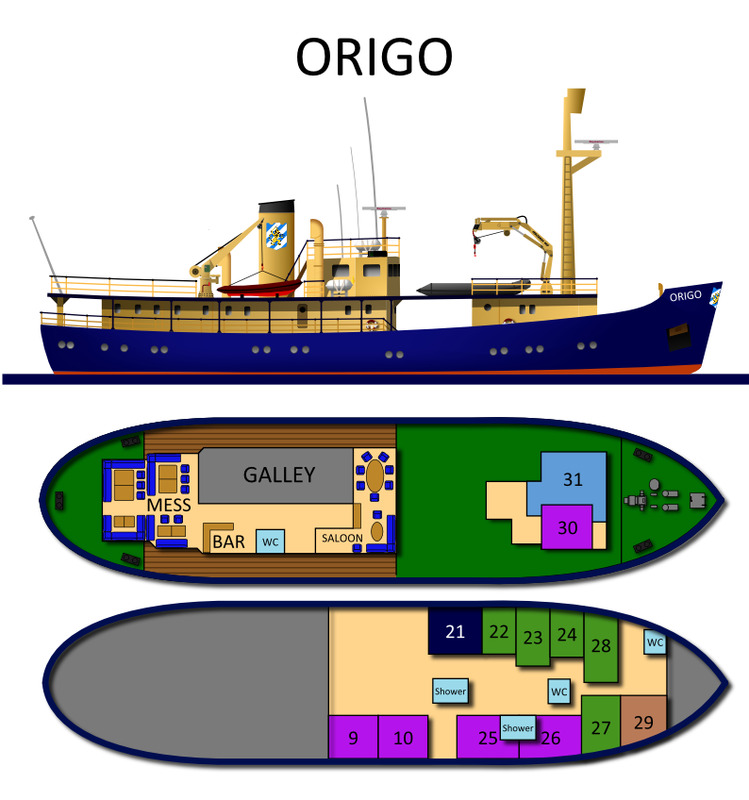 The Origo is 40 meters long and carries two zodiacs on board for our off-ship activities. She is ice-strengthened to Lloyds' highest ice class. 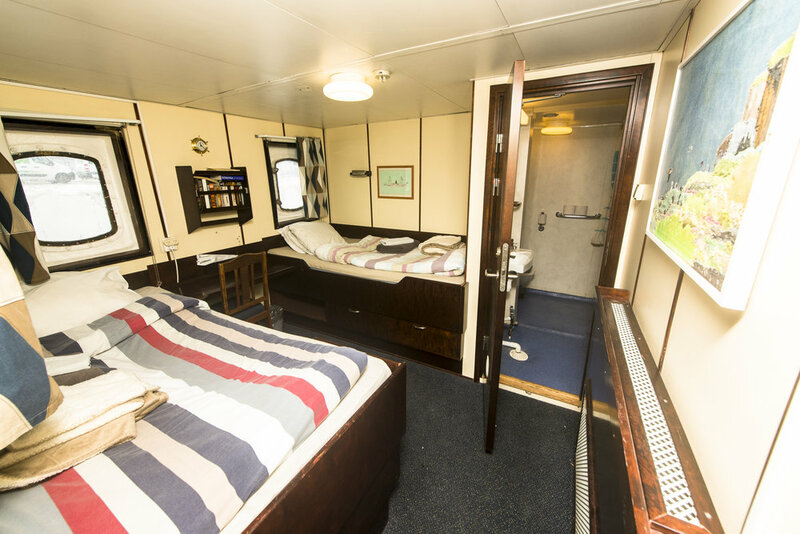 Accommodations on Origo consist of eight single cabins and two twin cabins all with lower bunks, and most with private bathroom and shower. Some cabins have bathroom/shower just outside the cabin. The cabins are bright, clean, and comfortable. 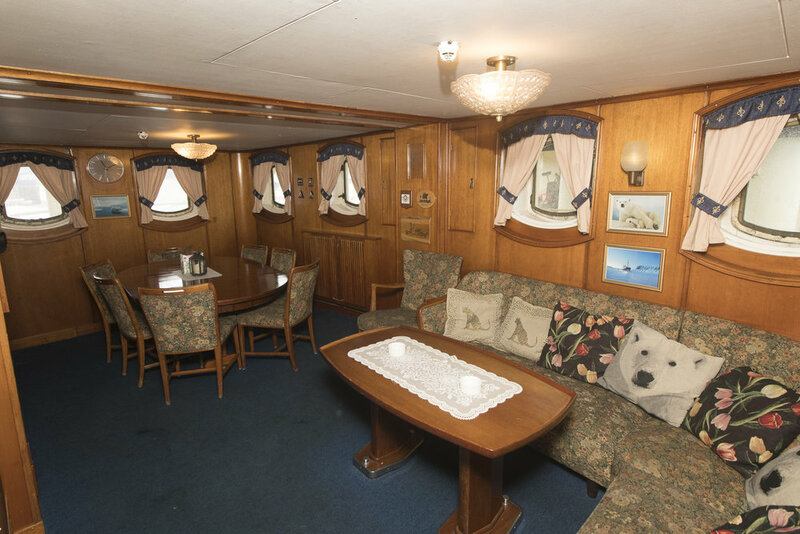 The ship has large observation decks for wildlife spotting and photography. The decks are lower on Origo, so we’ll be closer to eye-level when photgraphing a polar bear on the ice. We’ll have a feeling of privacy and intimacy on our ship for 12, unlike many ships that ply these waters with 50, 100, or even more passengers. 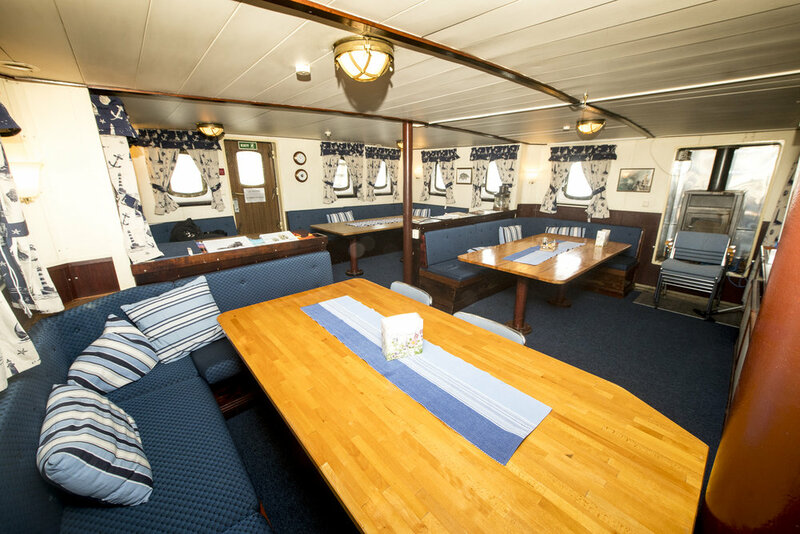 We will enjoy three great meals a day on board Origo, as well as afternoon tea and coffee. Special dietary requirements can be handled with no problem. 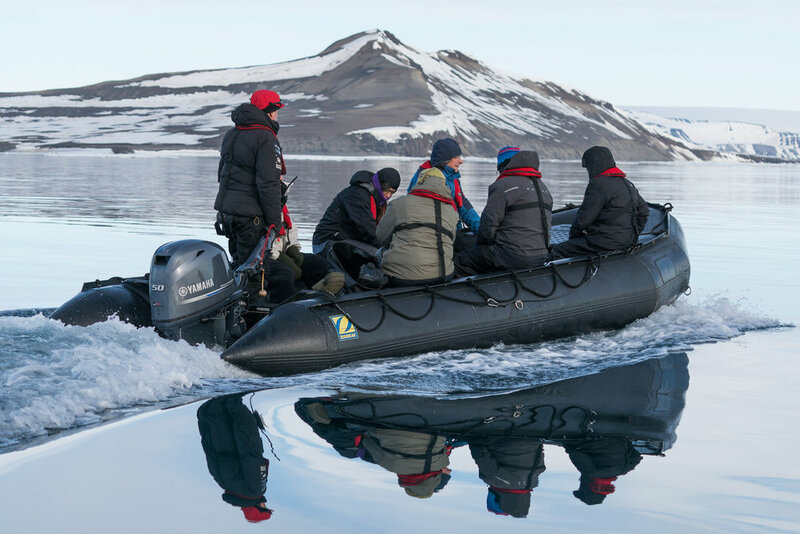 Mealtimes will be as regular as possible, but our crew knows that photography has priority on this expedition and that flexibility is necessary. June 9, 2020: Fly from your home to Longyearbyen, Norway (LYR airport code) to arrive anytime before dinnertime. Group dinner TBD, overnight at hotel in Longyearbyen. You may find that staying overnight in Oslo (OSL) makes your travel schedule easier. We can recommend a hotel right at the airport in Oslo no problem. June 18, 2020: Workshop concludes after breakfast. Disembark M/S Origo, domestic flight to Oslo, with connections home or elsewhere. *** there usually is an SAS flight at 2:40 AM on this day, it’s OK to take this flight. Or, you can take a later flight on the 18th, at approximately 2:40 PM. Travel from your home to Longyearbyen, Norway, and back. Passport and visa fees, if any. Any meals and accommodations before or after the workshop dates.Medical Evacuation Insurance (required). Travel Medical and Trip Cancellation Insurance (optional, but recommended). Items of a personal nature. Alcoholic beverages. Anything not specifically listed as included. Your non-refundable deposit of $4,000 will hold your place on this workshop. Further non-refundable payment of $4,000 is due on November 1, 2019. Final non-refundable balance payment is due by February 1, 2020. All payments are non-refundable and this is why we recommend comprehensive travel insurance including trip cancelation. All of our other standard terms and conditions apply. While not expected, a standard clause with all voyages like this is that if fuel prices increase between now and our voyage more than anticipated, there is the possibility of a fuel surcharge. Need special payment arrangements for your deposit? No problem, just ask us. Small group, three pros, polar bears—what more could you ask for? If you've been thinking about this, don't delay—click the ‘Sign Me Up!‘ button now and register, and we'll see you in Svalbard! Got questions?